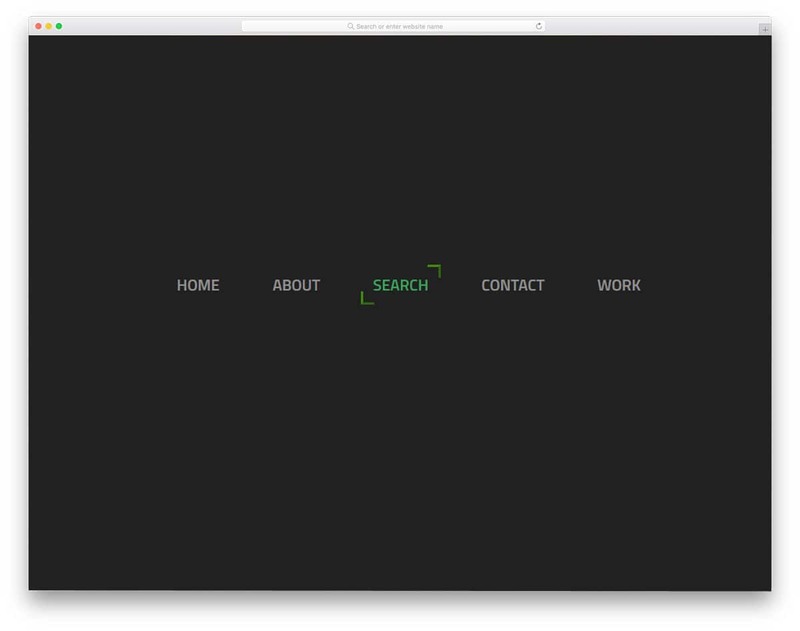 Button Hover Animation is a minimal hover animation effect, which you can use on any website. Since it is designed for call to action buttons, the edges of the buttons are used as a part of the animation. 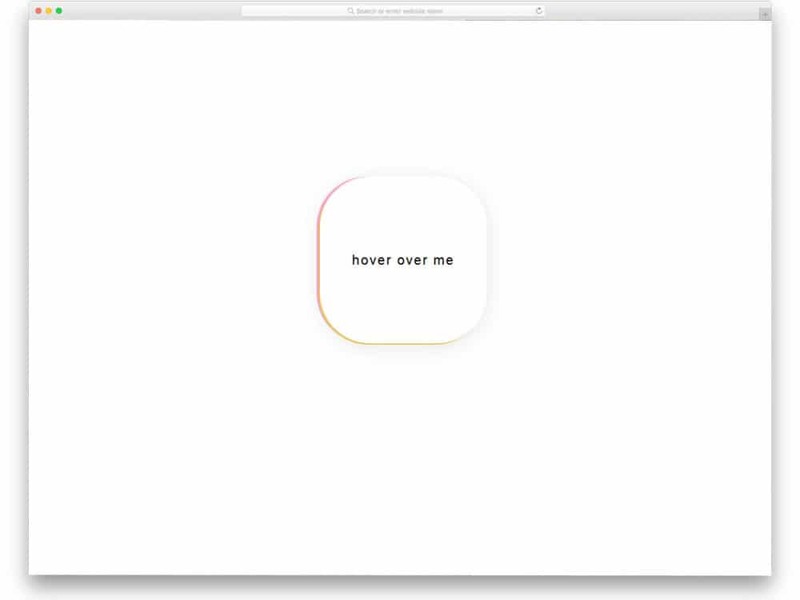 The hover effect is smooth and clean with a properly written code script. Since it is a light-weight code script with the latest HTML and CSS3 framework, it loads faster. You can use this effect even on the responsive designs. By making few customizations this hover effect can be used effectively in your existing website or project. In the previous example, the developer has given us only one effect. In this one, you get five types of hover effects. All the hover effects are smooth and simple so that you can use it on any type of websites and landing pages. 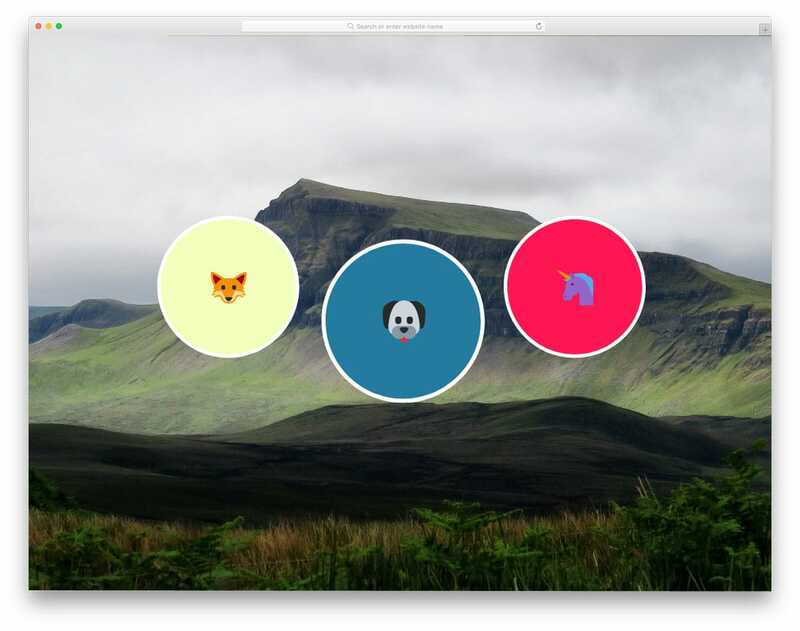 Another advantage with these button effects is they are all designed purely using CSS3 and HTML5 scripts. Hence you can add or edit the colors and effects you want. Default animation effects given in this set is smooth and clearly visible, so the users on mobile devices can also experience it without any issue. Coding used to make all these five hover effects are shared with you directly. Pick the one you like and start working on it. The hover effects need not be always simple stretching and contractions. You can use creative elements based on the niche of your website design. 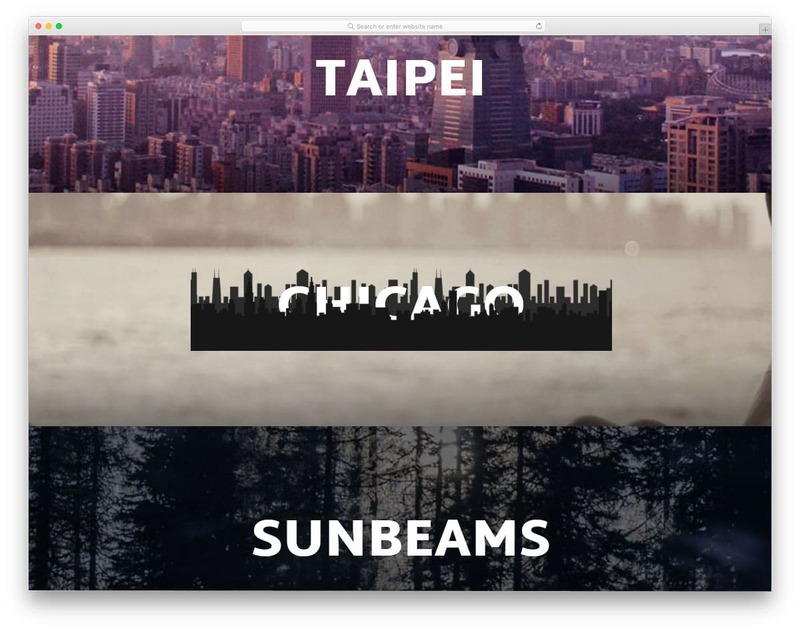 The developer of this effect has given you creative hover effect examples for travel websites, construction websites, photography websites, and nature websites. The best part of all these creative and lively hover effects is all of them are done purely using the SCSS script. All the effects are smooth and load faster, hence you can give an immersive feeling without making the web pages heavy. You can take these effects as an inspiration and you can develop your own custom effect based on your design needs. Hover effects mostly come in handy on the gallery section of the website. Especially in the portfolio website templates, rather than simply showcasing the work, sharing a few things about the work will get user’s interest. 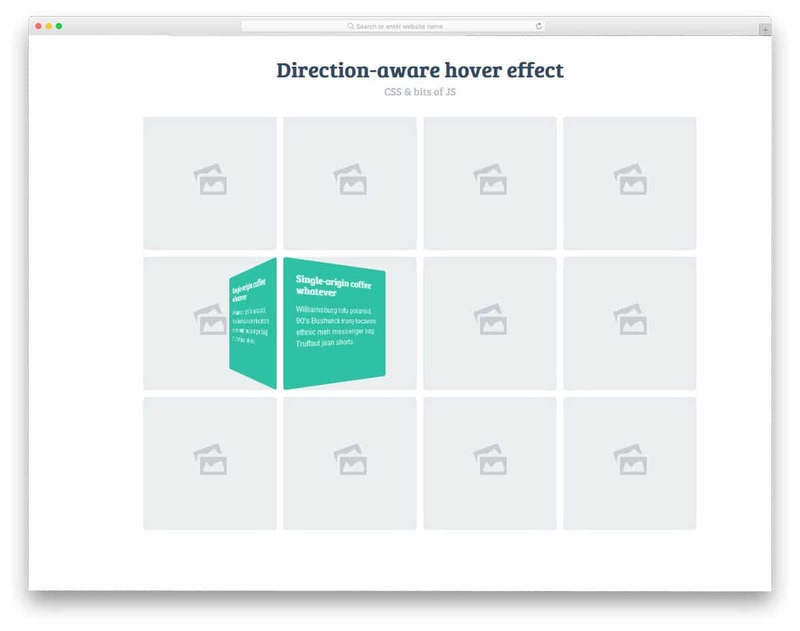 The developer of this hover effect set has given you fifteen different hover effect. Each one of them has a unique effect, based on your need you can select one. Effects like this will not only help you to show text but also helps you add life to your images. If you are using these effects on a photography website, it will add richness to the overall look of the website. The latest web development frameworks have given unlimited possibilities to make creative designs. There is no restriction on bringing the creative design to life. If you are making such creative web designs or website templates, elements like this will spice up your design. 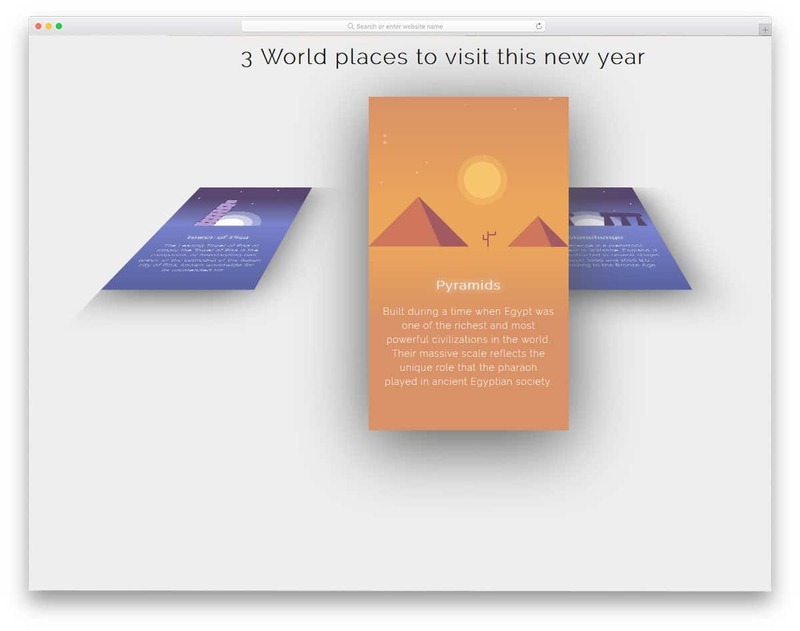 Each element in this effect is treated as a card and flips open when you hover over it. Shadow and depth effects are used effectively to differentiate the elements from the background. Instead of animating each part of the card you can animate the entire card to keep the design more simple. The transition effects are fluid and smooth so the users will have an interactive experience with this hover effect. 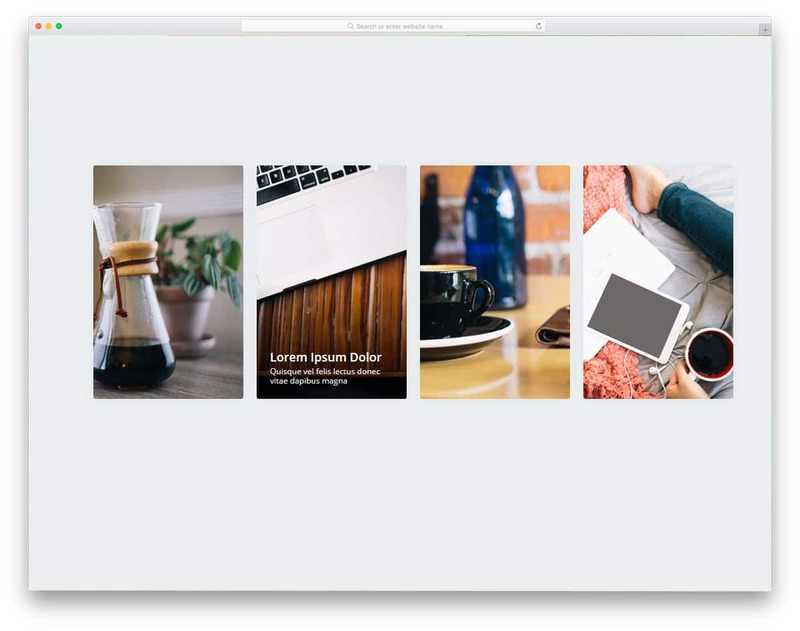 Tile designs let you show multiple contents in one place. If handled properly you can make a creatively functional website. When we speak of the tile, first thing pops in our mind is the Windows 8, after several upgrades, it is finally getting in line with usability and easy accessibility. The best thing about the tile design is you can animate the tile based on the content type. In this design, the developer has given you effect to show the contents and titles of the tile. If you have restricted space, but need to show more contents, the best way is to use accordions. Take a look at our accordion design examples with cool effects like this. Another area where hover effects are used extensively is the navigation menu bar. You can simply list the navigation menu options just like normal websites or you can use some effects to make your website stand unique. As experts always say, detailing is the devil. Taking each element under consideration will make an extraordinary product. For example, all android phones have a notch, but none of them have the functionality of the iPhone. If you are making such a unique design, effects like this for the menu bar will make your website complete. The whole effect is sleek and is made using CSS3 script. Speaking of iPhone, take a look at our iPhone mockups to elegantly showcase your responsive design. Button Hover Effects is another set of hover effects for the call to action buttons. But this one is from a different developer. So you can expect different types of animation in this one. Using hover effects for call to action buttons are crucial in the landing page. As we present-generation people have a short span of attention, which is almost eight seconds, using hover effects will help us get user attention easily. The developer of this effect has given you eleven different types of hover effects in this set. Entire code structure used for all eleven effects is shared with you. Based on your design need you can pick one and start editing it to use it on your website. This Animation hover effect can be used for freelancer websites and other personal websites. 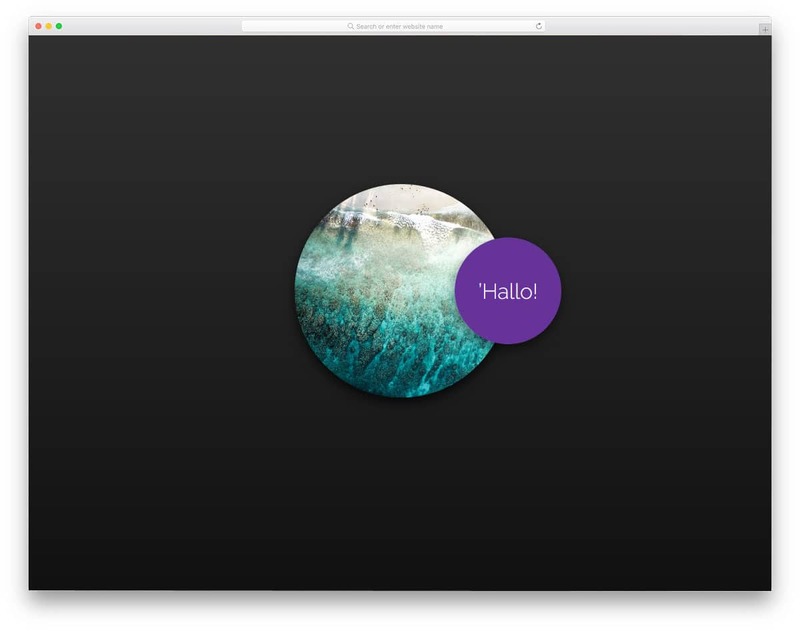 With this animation hover effect, you can give an interactive personalized welcome message to the users. Or you can use this effect even on your membership website, to give a warm welcome to the users, when they log in to their account. If you are running an eCommerce store or web application, you can show some personalized offers and plans to the user with effects like this. The developer of this design has given you a base structure. You can add your own features and use it in the way you want. As this design uses basic CSS3 script, customizing and integrating this effect won’t be an issue for a developer. Glowing Icon Hover Effect is a simple yet attractive hover effect. If you are using a dark theme minimal website, effects like this will make your website even attractive. Plus, on the dark theme design, the colors look more vibrant without any disturbance and the contents can also be read easily. Since the effect is very minimal this will blend in well in a minimal website template. The developer of this effect has used CSS3 script so you can add any modern color to it. And you also use your own custom effect if you want. 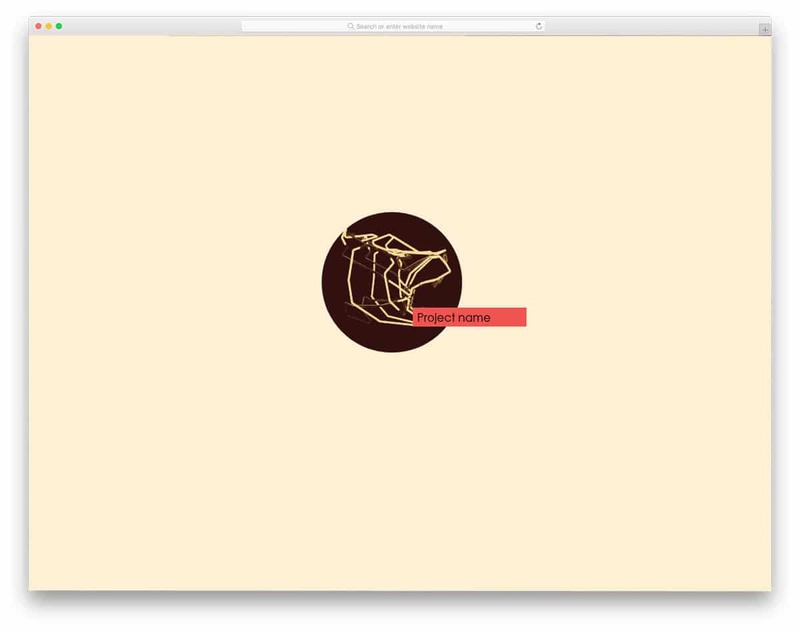 For more animation inspiration like this, take a look at our CSS animation example collection. Social Media Icons hover effect is almost similar to the glowing animation effect mentioned above. Adding social media icons is a must for both personal and business websites. Maintaining one active social account not only increases your social presence but also helps you to improve your credibility and bonding with your audience. Using effects like this for your social media icons on your website will get user attention when they move the cursor over it. In the previous effect, you get the glowing effect. In this one, you get a flipping animation with color filling effect. Just like all other simple CSS hover effects in this one, this one is also designed purely using CSS3 script. In our CSS menu design collection, we have seen many types of navigation menu designs. If you are making full-page navigation menu or side navigation bar, effects like this will help you neatly differentiate the menu options. In magazine website templates, different colors codes are used for the categories and tags to help the users easily find the topic they are interested in. Effects like this will help you organize the menu options based on your category color code you follow. As the name implies, this one is also designed using CSS3. You can edit the code and use it to the way you want. 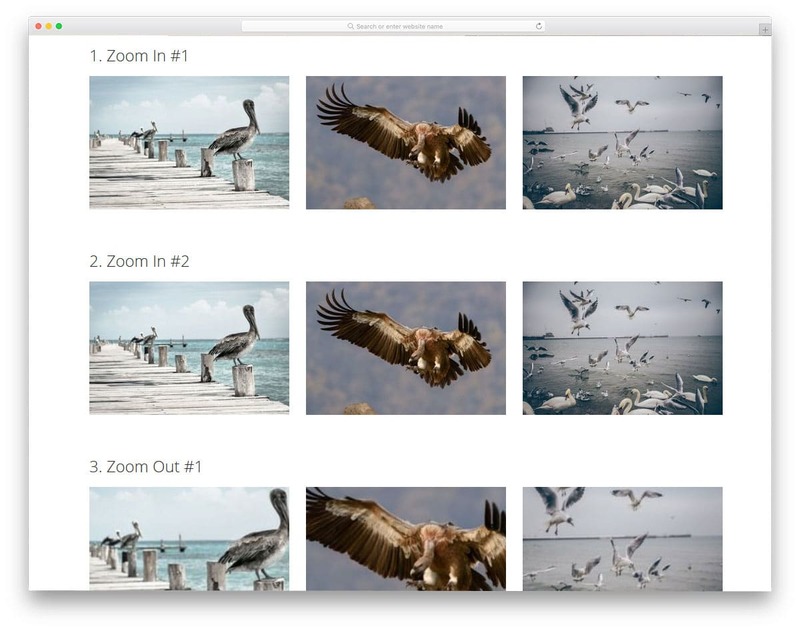 Image Hover Effects is another hover effect designed purely for images. 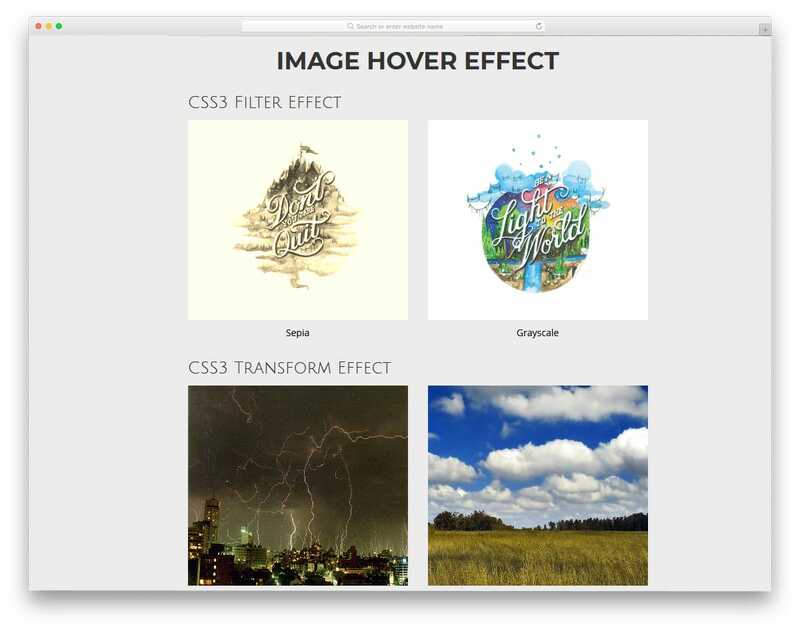 In the previous CSS Image Hover Effects list you get a set of fifteen hover effect. This one is a simplified version of it, in which you get only four effects. The only new effects in this one are the 3D hover effect and color filter effect. If you are a designer making 3D prototypes and poster designs, this effect might help you. To present your poster designs elegantly like this, take a look at our poster mockup collections. The developer of this effect has also given you flexboxes in the effect to let you add texts about the image. 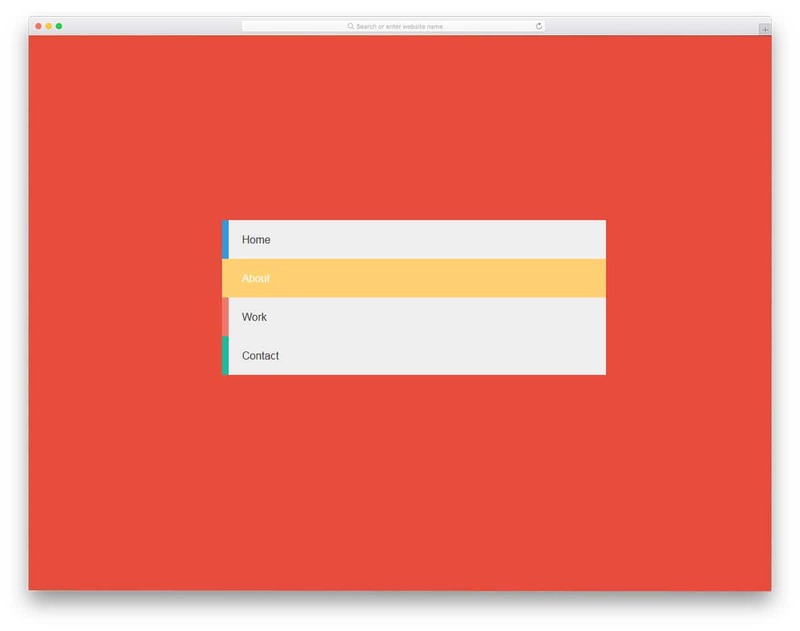 One div hover animation is a minimal and colorful hover effect. If you are using a minimal website template with lots of white space, this effect fits in perfectly. Until the user hovers over the target area, the boundaries are not visible. If you wish to make your website viewers awe-struck by subtle animation effect, this could help you. As it is a minimal effect, you can use it anywhere on your website. Based on the available space on your web page, you can adjust the space of the hover button or element. Another friendly option is it is built only using CSS3 script. Hence customizing and integrating it on your existing project will be an easy job. 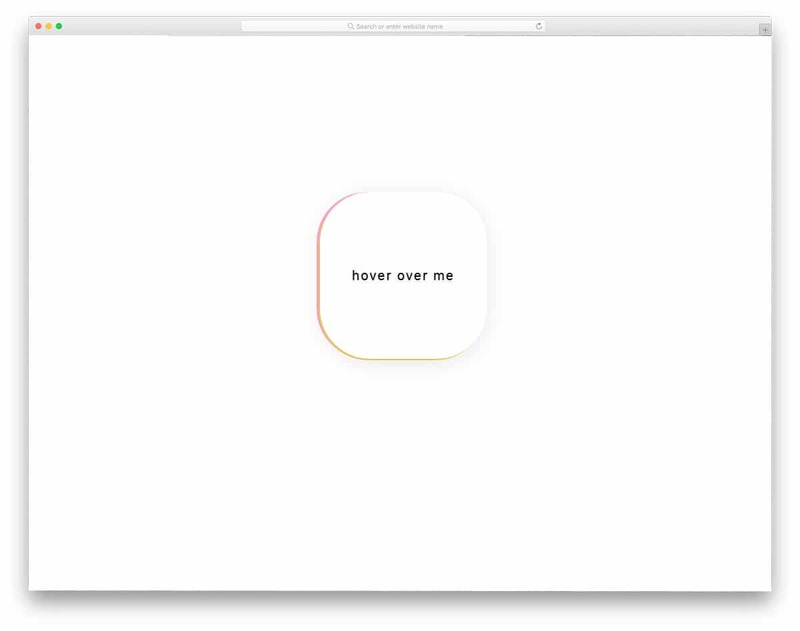 If you are expecting a futuristic hover effect, this animation might get your attention. A rotating three-dimensional image is shown when the user hovers over the dot. As many creative startups are providing unique solutions for day-to-day present-day people problem, making their website futuristic, will help them easily relate with their target audience. This effect can also be used in creative people’s personal website. Another unique feature of this effect is it is designed using HTML and SCSS scripts. Hence using them in a modern website won’t be an issue. By making a few optimizations you can easily use this on your website or application. Border Hover Effect is another small animation effect for the navigation menu bar. In the default design, you get a dark theme background with green hover effect. But as usual, you can change the color scheme and other effects based on your design needs. The hover effect is snappier and smooth so that the user no need to wait for the effect to over. This hover effect can not only be used for the navigation menus but they can also be used for call to action buttons as well. Ample amount of space is given between each option to make the effect look neat. Make sure to give enough room before using this effect on your website. The creator of this hover effect has beautifully blended two effects. As the name implies, this one has image reflection effect and proximity effect. Shadow and depth effects are also used smartly to add authenticity to the effect. Typographies are also used as a part of the modern web design. If you are using typography design, effects like this will help you present the contents more engagingly to the audience. Take a look at our CSS text animation collection for beautiful text effects. Coming to this hover effect, this one is sleek and quick. All the elements are coordinated properly so that user get a complete experience when they hover over the element. This hover effect is also primarily designed for the navigation menu. But, you can use it for other types of web elements as well. As the name implies, this one has color shifting effect from left to right. 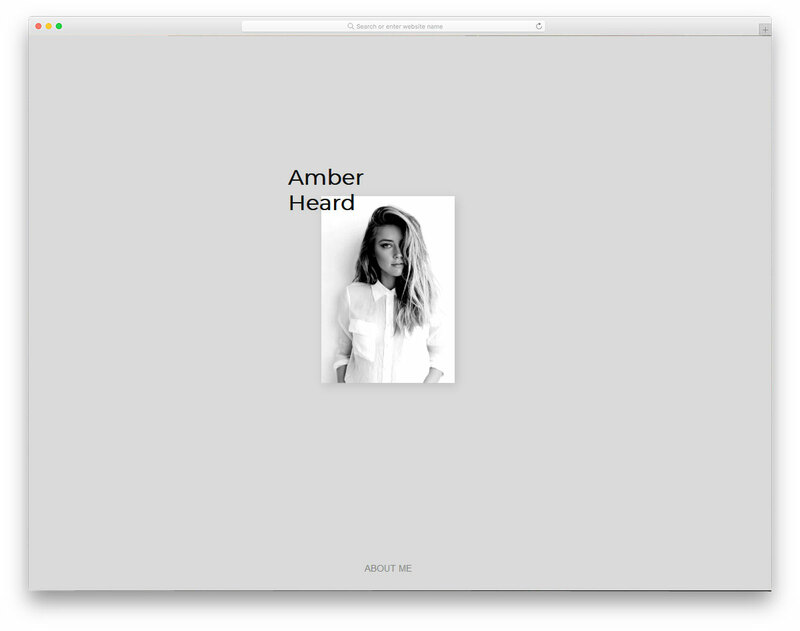 The hover effect is clean and simple so you can use it on any part of the website. Plus, all the effects happen over the text, so you no need to think of adjusting the space for the effect. This one is designed using the latest CSS3 framework, hence you can use modern colors and gradient color scheme.